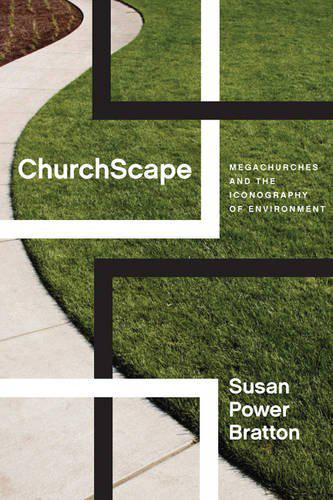 In ChurchScape, Susan Power Bratton takes the reader on an eye-opening study of the landscapes created by megachurches—some dull and uninspired, others innovative and redemptive. She details how megachurches have incorporated fountains, sculptures, prayer trails, community gardens, and restored wetlands and prairies into their spacious campuses. Most importantly, Bratton finds in these new religious landscapes a vantage point from which to observe American Christianity’s changing relationships to place, art, and environment. Bratton’s academic home at Baylor University in Texas puts her in the heart of megachurch country, where non-denominational, Baptist, Methodist, Pentecostal, and other Protestant congregations are reimagining religious landscapes. Equipped with a master’s degree in theology and doctorates in both botany and the humanities, Bratton approaches her subject from a multitude of disciplinary perspectives. During years of fieldwork visiting more than 200 megachurches, the author scoured archives, attended services, walked church grounds, and took photographs, some of which appear in the book. Bratton sees megachurch designs responding to three competing historical influences: the “plain style” colonial meeting house; Victorian ornamentation and civic beautification; and twentieth-century corporate pastoralism. During the colonial period, the plain, whitewashed meeting house was the preferred style for Puritans and non-conformist groups who emphasized the preached Word and had little sense of sacred space. In its favor, the plain style reflected the virtues of simplicity and modesty and was accessible to poorer congregations. Megachurches today have embraced the plain style in the form of nondescript, prefabricated buildings or repurposed shopping centers where many congregations now meet. A key deviation from the plain meeting house tradition is the proliferation of religious iconography on megachurch campuses, even among churches that are theological descendants of Reformed traditions that were deeply suspicious of religious art. Bratton sees these crosses and figurative sculptures as a continuation of nineteenth-century ornamentation, when civic memorials and formally landscaped cemeteries gained popularity. In the Victorian era, cemeteries with ornate tombstones featuring carved stone angels and crosses were viewed as morally edifying places to honor the dead and to engage in refined leisure and uplifting reflection. Bratton argues that much of today’s outdoor megachurch art draws from popular culture and is highly realistic and sentimental, owing as much to Disney culture as Christian theology. Rare is the sculpture that references Christian saints, theologians, or cultural leaders. Much of the new megachurch iconography falls short of the medieval cathedral’s combination of visual prominence from afar and fine detail at close range. Instead, there is the plain 170-foot-high cross at Sagemont Church near Houston and the 52-foot-high, open-armed Jesus at Solid Rock Church near Cincinnati. Both are intended to be viewed at high speed from nearby highways. Bratton challenges the artists who create such works and their megachurch patrons, asking whether their outdoor sculptures and gardens are open to the public and worthy of inclusion in regional tourist guides. The third and most important influence on megachurch design is corporate pastoralism. After World War II, the widespread adoption of automobiles allowed corporations to move their headquarters to suburban campuses set amidst expansive, meticulously manicured lawns. The idyllic, semi-rural settings of college campuses inspired corporate pastoralism, as did the desire of corporate leaders to escape urban congestion for the work of thought and reflection. The corporate campus synthesizes picturesque landscape ideals with an emphasis on uniformity, polish, and prestige. Unlike college campus lawns, the ample lawns on corporate campuses are typically for viewing rather than use. Given their concerns with church marketing and first impressions, megachurch leaders have mostly defaulted to corporate pastoralism. Whatever style they adopt, Bratton emphasizes that megachurches can cause significant ecological damage and contribute to the fragmentation of urban life. The size and suburban location of most megachurches make for long commutes, immense parking lots, and church buildings physically isolated from surrounding neighbors. In colonial New England, plain style meeting houses were built on the town commons, which served as both church grounds and civic space. But contemporary plain style megachurch campuses devote most or all of the church grounds to asphalt parking lots. This contributes to declining water tables and highly degraded nearby streams. Vast, unproductive lawns require irrigation and chemical inputs that stress ecosystems. Bratton’s research shows that water features are common on megachurch campuses, but all too often they mimic shopping mall fountains. While some water features incorporate inscriptions of biblical passages, the potential for explicitly connecting to the rich biblical symbolism of water goes mostly untapped. Churches that practice baptism by immersion have created the most innovative waterscapes. Returning to their roots of outdoor baptisms at the local river crossing, some Baptist churches have created fountains or pools with outdoor baptisteries. First Baptist Dallas has created a publicly visible waterscape befitting its setting at the heart of a global city. The fountain of glass and steel has choreographed jets of water and an inscription from Jesus’s words to the Samaritan woman that the water he gives will become in her a spring of water welling up to eternal life (John 4:14). Many megachurches have created prayer gardens. Some are quite successful, such as designer Richard Neutra’s beautifully meditative gardens and fountains that flow seamlessly in and out of the Crystal Cathedral complex in Southern California (purchased by the Roman Catholic Diocese of Orange in 2011 and renamed Christ Cathedral). Riverbend Church in Austin, Texas, built a remembrance garden and memorial walk that welcomes visitors. The garden connects to the bioregional landscape with water running over native limestone blocks reminiscent of the nearby Colorado River rock outcrops. Willow Creek Community Church outside Chicago exemplifies effective landscape management by coordinating with the local watershed planning organization and engaging in prescribed burns to maintain the ecological integrity and biodiversity of its prairie landscapes. The church features a 1.5-mile worship trail with wooden benches, interpretive markers, and Scripture messages. Bratton notes that, unlike Willow Creek, many megachurch prayer gardens are not good locations for quiet prayer or Bible study because of the roar of nearby freeways or air conditioning units. The broader question that lurks between the lines is how megachurches relate to their geographic context. Bratton evokes her childhood experience of attending Vacation Bible School at a church in the town center and afterwards walking with other children to a nearby store to buy popsicles. New Urbanist city planners would like to return to that era of walkable town centers, when commerce and public institutions occupied the heart of the community. The New Urbanists even employ a popsicle test: a good community is one where an eight-year old can safely bike to the store to purchase a popsicle. 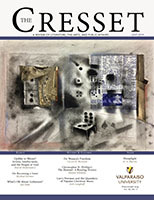 While most New Urbanists are agnostic as to the sorts of public uses that belong in the town center, Notre Dame architecture professor Philip Bess argues that churches need to reassert their presence in the civic square.1 At present, however, locating in walkable, mixed-use town centers does not appear to be on the megachurch agenda. The church in-place exemplifies neighborliness as it responds to the assets and needs of both its immediate neighborhood and regional context. Bratton defines neighborliness as more than serving the local community—it also involves responsible property ownership and engagement with regional land-use planning and ecological and hydrological processes. A church in-place creates landscapes that are functional, aesthetically pleasing, and reflective of the local bioregional context. As an example, Bratton highlights First African American Episcopal (FAME) in Los Angeles. In the late 1960s, FAME hired architect Paul Revere Williams, the first certified African American architect working west of the Mississippi River, to design its new facility. Williams created simple, modern forms set in a relaxed, Southern California landscape of succulent plants, palm trees, fountains, courtyards, and a plaza. FAME’s facility opens into the surrounding community, and its outdoor spaces welcome both church and community members for daily exercise classes, food distribution, and medical clinics. A church in-place avoids a gated mentality and thoughtfully considers how it relates to outsiders. Upper Arlington Lutheran Church near Columbus, Ohio, has community gardens that connect visually and spatially to the wider community and offer biblical messages and prayer suggestions for the volunteer gardeners. Austin Ridge Bible Church in Austin, Texas, welcomed local disc golf enthusiasts to design a course using its property’s rugged topography. The church provides a small parking lot and bathroom area for disc golfers, most of whom are young adult males—a demographic that churches have the most trouble reaching. Adopting the model of the neighborly church in-place seems essential if the Church is to be faithful in its mission. But as a geographer, I found myself longing for more exploration of the contemporary meanings of place, neighborhood, and geographic context. Megachurches have flourished in settings described alternately as the galactic metropolis, edge city, post-suburbia, exopolis, or metroburbia.2 Lacking a clearly defined center, the galactic metropolis is a sprawling, disjointed urban region, held together only by transportation and communications networks. Places are no longer bounded areas but nodes in networks of flows of people, goods, and information. During the course of their daily lives, each resident constructs their own city as they navigate through the fragmented and geographically stretched-out galactic metropolis. Contemporary megachurches reflect these changing geographies of everyday life as they draw attendees from vast distances, complicating simple notions of place, neighborhood, and geographic context. In sum, Bratton is a remarkable explorer of landscapes and ideas. 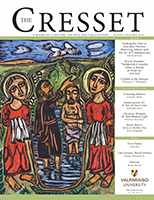 She has opened new vistas and revealed churchscapes as metaphors for the spiritual life. Church leaders, architects, and scholars would do well to pay more attention to the production, use, and meaning of contemporary church landscapes. Reading Bratton’s book is a good starting point. Mark D. Bjelland is professor of geography and environmental studies at Calvin College. 1Philip Bess. Till We Have Built Jerusalem: Architecture, Urbanism, and the Sacred. Wilmington, DE: Intercollegiate Studies Institute. 2006. 2 Paul L. Knox. Metroburbia, U.S.A. New Brunswick, NJ: Rutgers University Press. 2008. 3 Justin G. Wilford. Sacred Subdivisions: The Postsuburban Transformation of American Evangelicalism New York, NY: New York University Press. 2012. 4 Peirce Lewis. “Axioms for Reading the Landscape: A Guide to the American Scene,” in The Interpretation of Ordinary Landscapes. D. Meinig and J. B. Jackson eds. Oxford: Oxford University Press. 1979. James Duncan and Nancy Duncan. Landscapes of Privilege: The Politics of the Aesthetic in an American Suburb. New York: Routledge. 2003. Richard Schein. 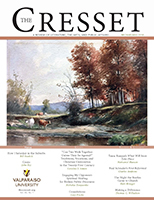 “Normative Dimensions of Landscape,” in Everyday America: Cultural Landscape Studies after J. B. Jackson, C. Wilson and P. Groth, eds. Berkeley, CA: University of California Press. 2003.